Rewards point extension will help store owners to reward their customers for any purchase and other actions they do on the store. It helps increase customer loyalty and attract new customers. Do you fancy rewards on every penny you spend on shopping? Well, your customers love it too. As online shopping is getting popular and is soon to become a primary source of shopping, reward points programs have entered the online marketing domain offering incentives for shopping. More and more online retailers these days are offering rewards under loyalty programs and are increasing their revenue through subsequent sales. The customers are more than happy to get something back, often at no extra cost and benefits like additional discounts and bonuses. Reward points work as store currency. Customers earn points on every action they take on the website like signing up, commenting, subscribing, referring, etc. The customer can further use these points to shop which will make him visit your website frequently. So, are your cashing on that feature yet? Studies have found that a mere 5% increase in customer retention can boost a company’s profitability by 75%. A non-competitive one retailer loyalty program is all that you need to have your customers coming to your online store frequently. With points earned for referrals, you can count on the prospect of getting more and more exposure and recognition. Buyers love to redeem their points during the checkout process. You can create different rules about how to redeem the reward points. You can ensure that your rules are such that it prompts a buyer to spend more on your website. 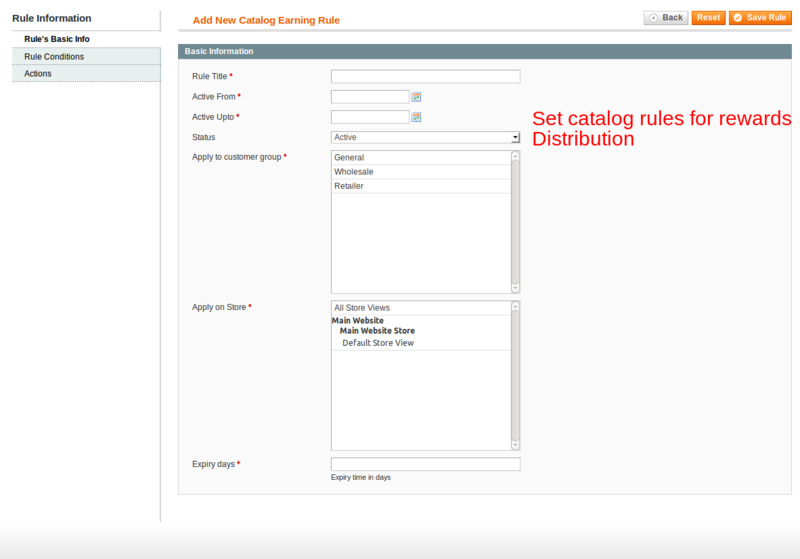 Depending on your preference or what works best for your business, you can customize and improvise flexible catalog rules. You can offer rewards for any specific product or brand, total order, quantity, SKU and decide whether there is a fixed redemption of points or percentage based. Decide which customer behavior to reward – registering, signing up for the newsletter, posting a product review, voting in a poll or inviting and sharing with friends. Create flexible spending rules based on cart conditions. - Track the point transaction history of all or specific customers. 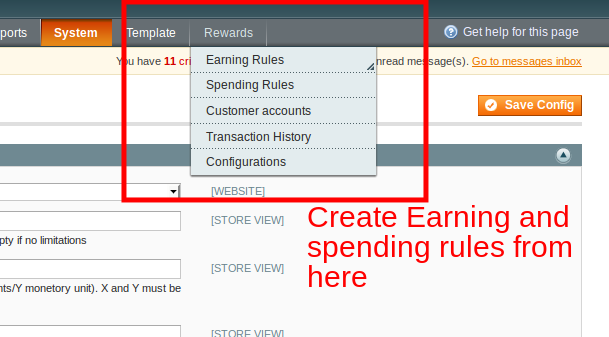 - Allow the adding or subtracting of reward points by admin to customers with a space for comments. - Import customer reward points in bulk via CSV. - Admin can reward and redeem points when creating or editing an order at the backend. With Rewards Points Extension, you can offer rewards for registering, signing up, commenting, posting a product review, etc. You can reward your customers with points based on specific products, brands, categories, total purchase, fixed points or by a percentage based on product price. You can grow your customer base through the referrals that you get from your existing customers. Reward referral visitors, sign-ups, purchases, etc. Customers can use their reward points in multiple ways. They can use the points to shop, to pay. Customers can keep a track of their reward points and see them across pages like registration page, shopping cart page, payment page, etc. Customers can share or send their points to their friends. This will prompt the friend to sign up for your store. I want to thank the team of soft prodigy for such amazing extension. I have installed it on my website and it is working properly. No issues faced so far. This is such a unique extension idea that my online shoppers are loving it too much. They are now enjoying rewards for each purchase they would make on the store. In fact it encourages them to buy more to get more for free.